If you’re serious about raising your testosterone levels and packing on muscle mass, you need all the help you can get – and Asian Red Panax Ginseng might be the way to do it. 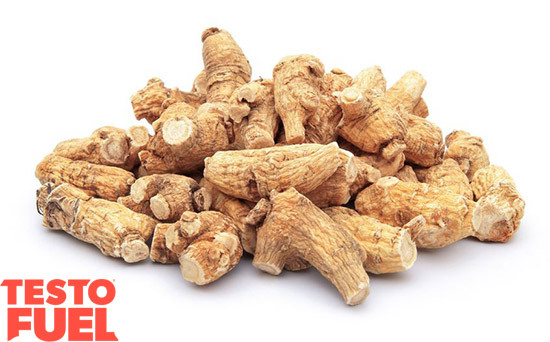 If you’ve looked into the nutrients we’ve put into TestoFuel, you’ll notice that we use 100mg of Asian Red Panax Ginseng in every daily serving of our Testosterone Booster. Originally used as a libido enhancer and aphrodisiac, this herb was recently discovered for it’s ability to also boost testosterone levels when supplemented regularly. This is mainly to do with how this herb affects the insulin levels, there is a proven link that shows higher insulin levels drain testosterone levels and make it a lot harder to gain muscle. Asian Red Panax Ginseng has been shown to lower insulin levels which by extension increases the amount of male hormone in the body and creates more opportunity for muscle gains. Also known as ‘True Ginseng’, and is somewhat of a super-herb with it’s ability to help with a large amount of functions in the body. Unlike most of the minerals of vitamins we’ve covered in TestoFuel, the chances of you already having any of this nutrient in your diet at all is very unlikely. The main benefit of from True Ginseng is how it aids testosterone production. With it’s ability to reduce levels of blood glucose , insulin levels in the body lowers which is linked to higher testosterone levels . Ginseng can also help improve your pumps during workouts. This herb is great for boosting nitric oxide in the body, this helps with the dilation of blood vessels and increases your overall circulation  . The benefits of ginseng also extend outside of the gym, with regular supplementation also being seen to strengthen both erections and libido – to the point that it can even successfully fight erectile dysfunction . If you’re aiming to pack on more muscle and also get more out of your lifestyle, we strongly suggest adding Ginseng to your diet. One of the best places to find a good source of Ginseng is in TestoFuel. We put 100mg of the super-herb into over the course of a daily serving and you’ll definitely feel the benefits. If you’re looking to improve your strength, size and social life, you’d be a fool not to try TestoFuel – with every three month supply covered by a 90 day guarantee. There’s no chance of losing here. Reay J.L., Kennedy D.O., Scholey A.B. Effects of Panax ginseng, consumed with and without glucose, on blood glucose levels and cognitive performance during sustained ‘mentally demanding’ tasks.J. Psychopharmacol. 2006;20:771–781. doi: 10.1177/0269881106061516. Pitteloud N, Mootha VK, Dwyer AA, et al. Relationship between testosterone levels, insulin sensitivity, and mitochondrial function in men. Diabetes Care. 2005;28(7):1636–1642. Ahn C.M., Hong S.J., Choi S.C., Park J.H., Kim J.S., Lim D.S. Red ginseng extract improves coronary flow reserve and increases absolute numbers of various circulating angiogenic cells in patients with first ST-segment elevation acute myocardial infarction. Phytother Res. 2011;25:239–249. Jovanovski E, Jenkins A, Dias AG, Peeva V, Sievenpiper J, Arnason JT, Rahelic D, Josse RG, Vuksan V. Effects of Korean red ginseng (Panax ginseng C.A. Mayer) and its isolated ginsenosides and polysaccharides on arterial stiffness in healthy individuals. Am J Hypertens. 2010;23:469–472. de Andrade E, de Mesquita AA, Claro Jde A, de Andrade PM, Ortiz V, Paranhos M, et al. 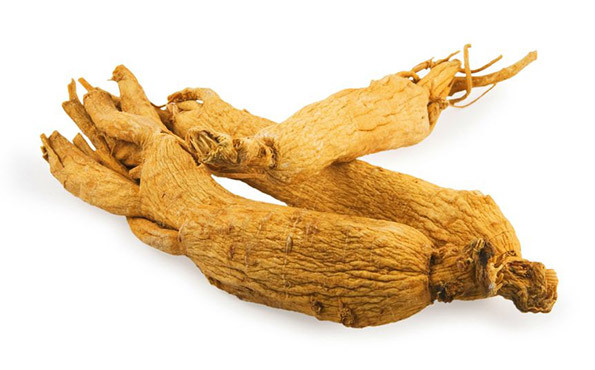 Study of the efficacy of Korean Red Ginseng in the treatment of erectile dysfunction. Asian J Androl. 2007;9:241–244.